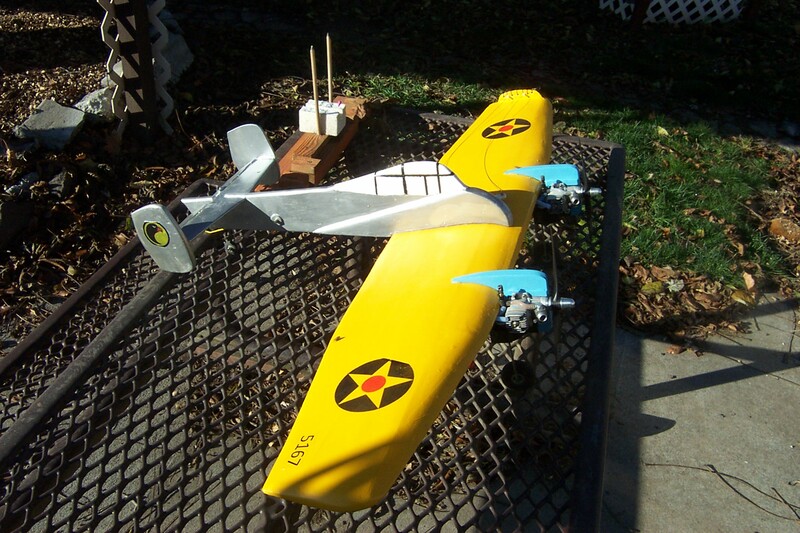 Joe recently sent me some pictures of his latest twin – a Grumman “Skyrocket”. It’s powered by two OS .15 CVA engines, controlled by two servo throttles worked via an R/C setup on 2.4ghz. It hasn’t flown yet, but it looks like an ideal prototype: unusual, colourful, and perfect for R/C throttle. 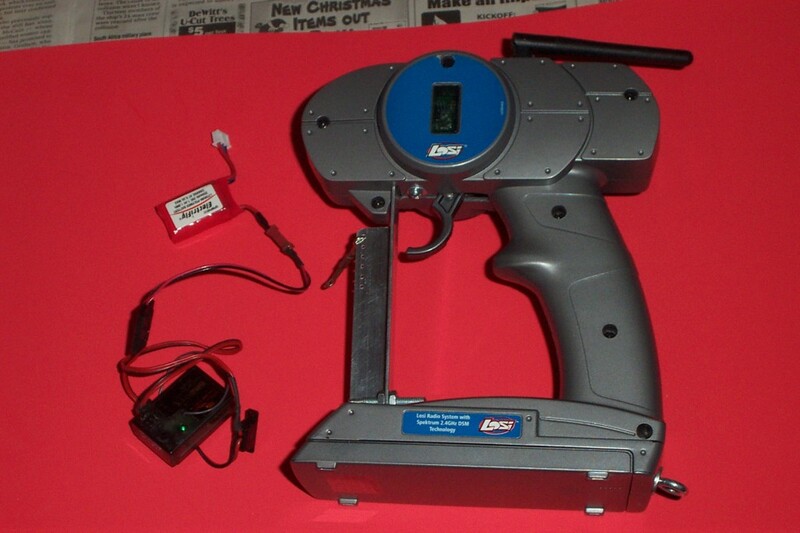 Joe tells me that the R/C handle is now being offered on Ebay by the manufacturer – a bit expensive at $100, but still a bargain for anyone wanting an alterative to the Brodak mechanical linkage or for a novice thinking about getting started in Carrier flying. He continues: “I have been a fan of the “Skyrocket” since my youth. It was a plane that was drawn and shown in the “Blackhawk Squadron” comics. I have always wanted to build a Carrier model of this ship. I got a set of full bodied plans from an old (1948-49) Mechanic’s Illustrated mag and decided that I didn’t have the skill or time to build the full bodied Carrier plane as shown on the plan. I took a look and got a feeling for the dimensions and away we went! 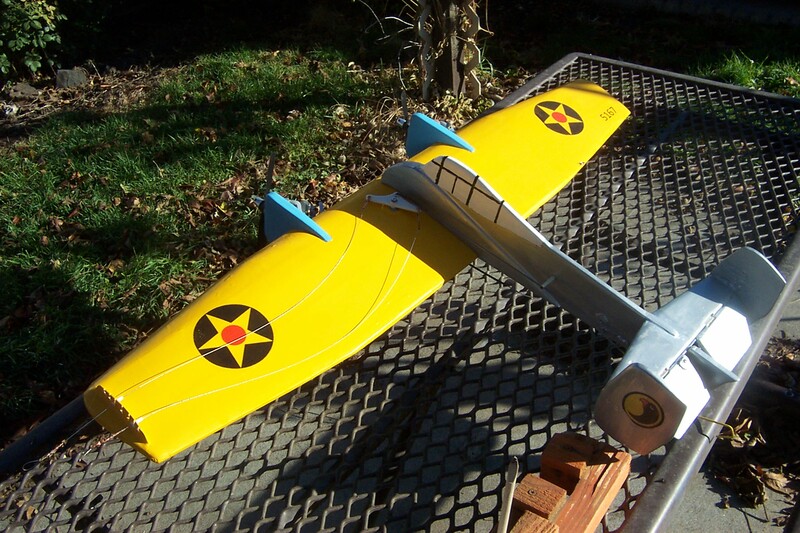 I cut the foam wing and covered it with sheet balsa, and the rest was simply “eyeballing” the shapes and sizes to fit our Profile Carrier rules – I didn’t draw any plans but simply made templates for all the parts. Thanks for the brief Joe, congratulations on choosing a really cool model, and best wishes for that all-important first flight. I’m already wondering if Joe could be persuaded to make up a limited production run of these as kits, like he’s done with his excellent Wildcat – if he does, I’ll be first on the list!